As 2011 draws to a close, I thought it would be fun to look back on Waitin' on a Sunny Day's 2011. 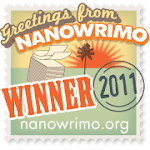 Or, perhaps more fittingly, my 2011. I watched a grand total of 369 films this year, watched 43 seasons of tv series (it seems a lot, but most of them where British shows which means the seasons are a lot shorter ;D), made some amazing friends through classic film, met one of my best classic film buddies in real life, and had a ridiculous amount of fun posting on here about all things classic! So, without further ado, I give you my 2011 in review! February: The Thrill of it All (1963) - love love love! July: Happy birthday to "The Queen"! October: Happy birthday, Glynis 'Awesome' Johns! November: I thought that you would rue it; I doubted you'd do it. But now I must admit it that succeed you did! May: Niagara (1953) & The Virgin Suicides (1999). I watched so many incredible TV series this year including Matador (1978-1982), The Golden Girls (1985-1992), and House (2004-), but when it came down to it, however much I love those three shows, none of them could surpass the emotional roller coaster that is Band of Brothers. Do yourself a favour and watch it! I could go on forever listing favourites, but these are the three most important categories pertaining to this blog so I'll stop there. I honestly can't believe the year is almost over; it only seems like yesterday that I was posting my 2011 film-related New Year's resolutions on here (make sure you check back in a day or two to see how many of those I kept ;D). I can't think of anything profound to say so I'm just going to wish you all a very wonderful New Year and I'll see you at the other side!